Visiting Nurse Association of Ohio’s team of nurses and home care professionals are effective in helping their patients stay out of the hospital, said Lisa Kristosik, VNA of Ohio’s chief operating officer. Patients usually come into VNA of Ohio’s care following a hospital stay, Kristosik said. There, home healthcare nurses and clinicians assess them to identify those who are at high risk for hospital readmission. They develop a care plan for each patient that focuses on preventing a trip back to the hospital. Kristosik said the VNA of Ohio’s home healthcare nurses use different strategies to achieve that goal. Nurse interventions: Patients are less likely to return to the hospital when they are under the care of a VNA of Ohio home healthcare nurse lending expert support, including IV therapy, wound care and other treatments. 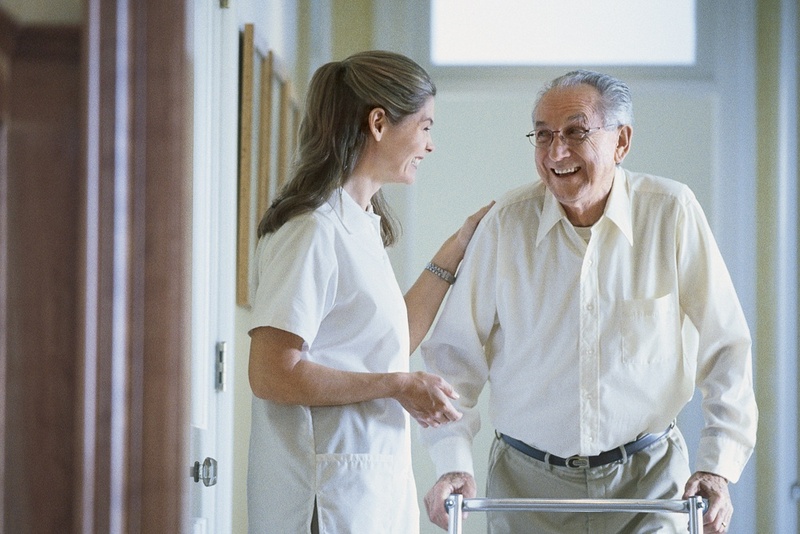 Each VNA of Ohio home healthcare team member evaluates the patients’ condition with every visit. These regular “mini” assessments are used to catch new symptoms before they become complications that require hospitalization. Education: VNA nurses teach patients and their families how to manage their conditions, to recognize symptoms that could warn of trouble and to understand the actions – and side effects – of prescription medications. Patients and their caregivers learn which symptoms require a call to the doctor and which do not. The VNA of Ohio team also is more accessible than physicians tend to be when there are questions or concerns. Technology: Through its telehealth program, VNA of Ohio uses electronic monitoring equipment that allows nurses to keep track of patients’ vital signs remotely. So, even when a home healthcare professional isn’t in the home, the team keeps a virtual eye on the patient, spotting indicators that his or her condition may be worsening. The situation can be addressed before it develops into an emergency. Communication with physicians: One of the most important roles of a VNA of Ohio home healthcare nurse is to act as a liaison between the patient and doctor. Nurses serve as physicians’ eyes and ears in the homes of their patients. They stay in close contact with the physicians’ office to report subtle changes in patients’ conditions. Often, a call to the doctor’s office to report a new symptom results in a trip to the hospital emergency room because the doctor cannot evaluate its seriousness without seeing the symptom first-hand. However, a VNA of Ohio nurse can offer a clinical observation that may allow the doctor to act without having to involve the hospital.